Thoughts from one of our teen workers…. We hire a lot of talented young people every fall on the farm. One of our workers, Elizabeth, has been working for us for a few years, and has also spent a lot of time here as a family friend. She recently shared an essay she wrote for her English class about her experiences on the farm, and we thought others might enjoy reading it as well! We have included some pictures that her mother took last fall. Imagine you are taking your daughter to her first fall harvest at a farm. When you get there she immediately runs to the gigantic rocking chair and tries to climb it. Laughing, you lift her up and take her picture. You go to the ticket booth and while you’re in line you smell sugary donuts and other goodness. You promise yourself to stop in the bakery before you leave. Your daughter hurries into the barnyard and starts exploring. She’s drawn to the animal area and giggles as kittens rub against her legs. After a little while, your daughter is fascinated by the children walking around with pumpkins. She asked you to go on the hayride with her and you do. Once the perfect pumpkin is picked you make your way into the bakery. A massive line curves through the building. While you stand in line for donuts, fudge, cake, and caramel apples, your daughter decides to take on the corn maze with your husband. Before you know it, you’re visiting the farm every fall for pumpkins and once a year goodies. 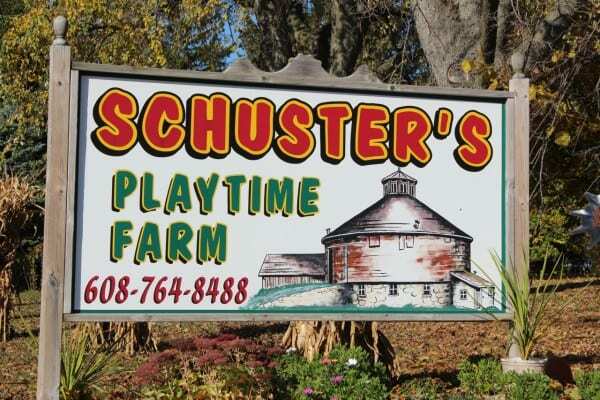 This farm is known as Schuster’s Playtime Farm. You have arrived at Schuster’s Playtime Farm! Schuster’s is owned by a busy and dedicated couple, Don and Theresa. 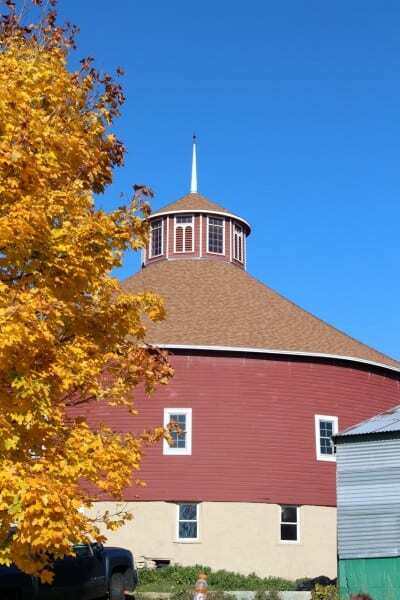 There is a round barn over 100 years old that sits on their property. At first the couple didn’t know what to do with it, as they were busy starting a new family of their own, but now they have restored it and allow people to rent the barn for various functions. The restoration of this barn was extremely expensive and time consuming, but it goes to show the big hearts that the Schuster’s have. The whole family, Don, Theresa, Hugh, Sarah, and Christian have impacted so many people and make this farm feel like one big happy family with their care for everyone. A view of the barn on a gorgeous fall day! I first met Sarah at preschool and we became close throughout the year. When I would go to their house we would play in the barnyard and run across the tires that were stuck in the ground or sprint into the animal area to see the goats and kittens. 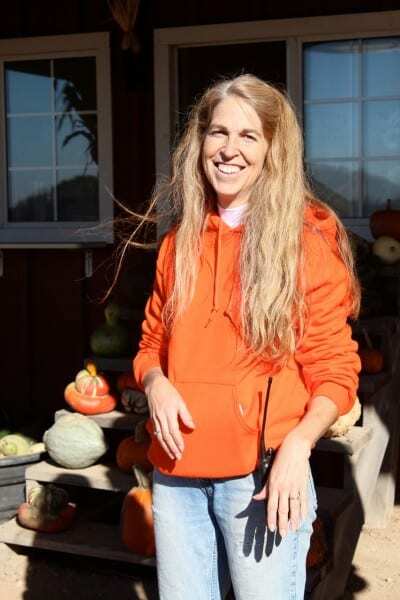 During the fall harvest, I would spend a lot of time there and walk around the farm like I owned the place because in my eyes, I felt like I did. I could answer any question that visitors on the farm had. When I was around eight, my whole family and I went to the Schuster’s to help raise an 1886 bakery barn. Lots of other families from the town came to help out. Over the years, because of the help the Schusters have received, the farm has changed a lot. 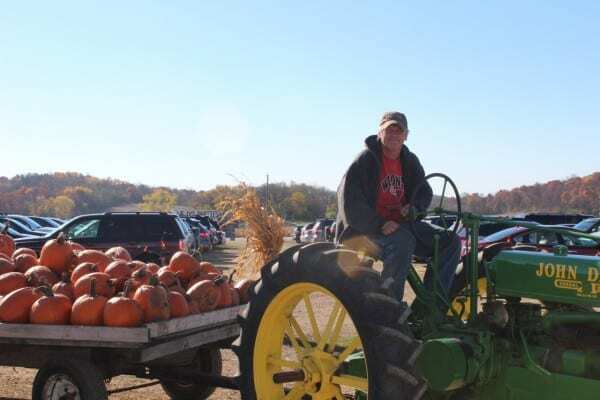 A few extensions include a jumping pillow, corn and pumpkin cannons, another barn called Big Red, and a big sand fort.. All of these additions have made the Schuster’s Farm the place it is today and when I compare it to other farms around Wisconsin, they can’t compare. The other farms seem cliche and boring, while Schuster’s is unique and fascinating. There isn’t one boring second at Schusters. Don brings in a load of pumpkins! Schuster’s Farm is not a place for germaphobes. It isn’t a place to wear nice clothes or to worry about how dirty you’re getting. It is not a place to cry or yell. It isn’t even a place for ordinary fun. Schuster’s is a place where getting dirty is supposed to happen. People looking for fun and adventure challenge the corn maze which changes every year. The brave tackle the Haunted Forest and try not to scream. Animal lovers head to the petting area and hold the kittens and feed the goats. People in love have their wedding receptions in the round barn near the house. Little ones play in the barnyard and climb the tires and go on hayrides to pick out the perfect pumpkin. No tears should come, and if a tear does slide down someone’s cheek it is wiped away from the heat of the bakery as sweet apple cider donuts are munched on. Homemade fudge and sticky caramel apples always turn a frown into a food filled smile. Now that I’m old enough, I work in the bakery barn selling all the sweets to the customers. Every time I visit the farm, I remember all the times I have played there. Time has gone so fast, and a few moments in time have become memories. Looking into little children’s eyes as they visit me in the bakery, I ask them what their favorite activity of their visit was and they respond with, “the corn maze,” or “picking out my pumpkin.” I smile back and say, “that’s my favorite too.” Of course the bakery is high on some people’s list, but the fall activities of picking out a pumpkin or getting lost in the corn maze only come once a year and that’s what makes memories of Schuster’s Farm so important. 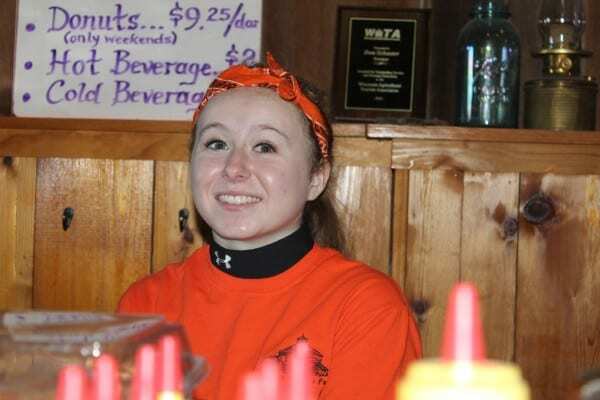 Theresa always has a smile for visitors to the farm! As I was leaving Schuster’s for the day, I ran into Mrs. Schuster as she was training few adults in the farmhand lounge. We talked for awhile and she laughed as I said that I was forgetting everything and going crazy. She responded with, “it runs in the family.” As the group she was leading left the building, I heard one adult ask her if we were related. I didn’t hear her response, but I like to think she said, “yes, we are related.” The time I have spent at Schuster’s Farm will never be forgotten and the Schuster’s will always feel like home to me. The legacy the Schuster’s are leaving in small town Wisconsin imprints everyone lives, no matter their age. Schuster’s Farm, a place for fun and family. Previous post: Is Spring really here?